Discover the hidden wonders of the forest with the Adventure Pickup Truck. 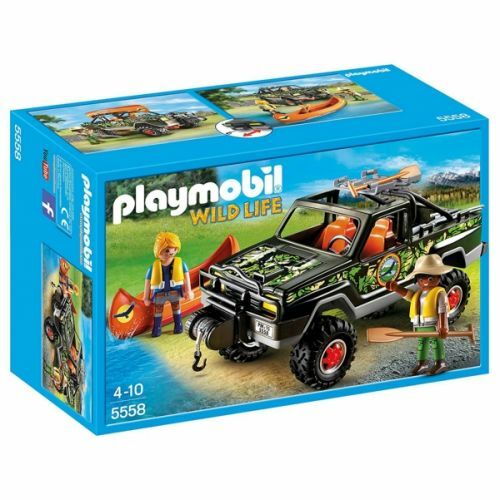 Covered with camouflage detailing, this truck can move unnoticed as it travels on exciting adventures. For watery areas, leave the truck behind and continue on in the canoe. 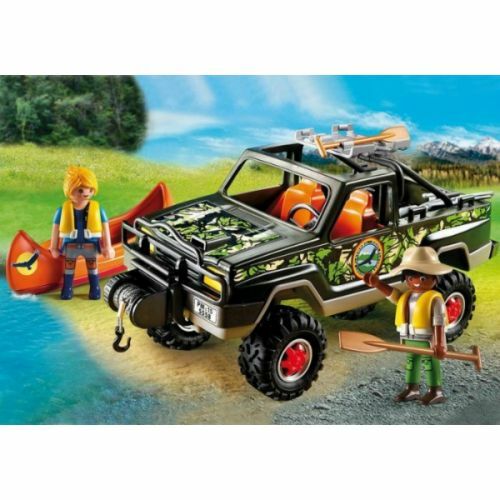 The vehicle's front cable winch will help pull the canoe back onto land when finished, where kids can attach it to the top of the truck for easy transportation. 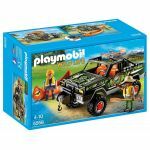 The truck cab can seat up to two figures, while the open trunk has plenty of room for storing gear. 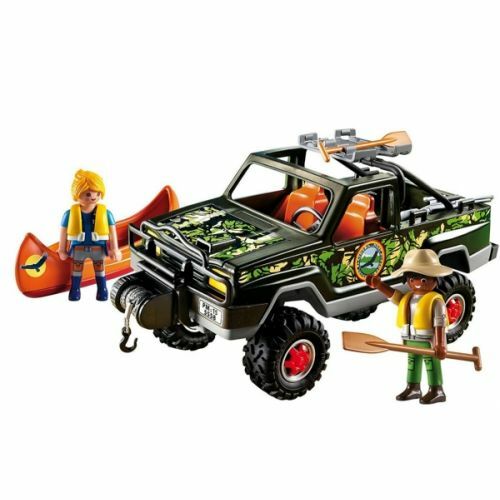 Set includes two figures, truck, canoe, paddles, life vests, and lots of other accessories.